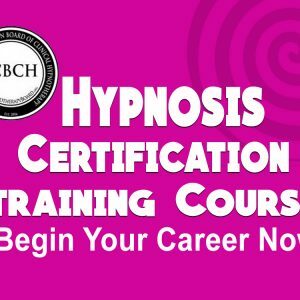 / Training Tickets / Selling Hypnosis Programs: Getting off the couch and making the calls!!! 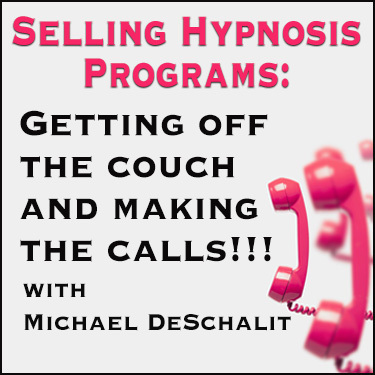 Michael DeSchalit has spent over 30 years in sales, from mortgages to fundraising to hypnosis shows and programs. 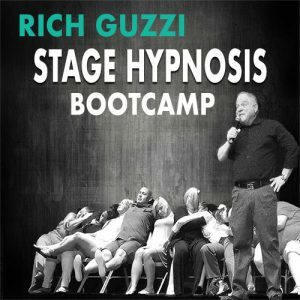 Learn how he has made a living with his patented sales technique. This is the technique that has kept his calendar full year after year and has allowed him a greater than 90% re-booking rate. 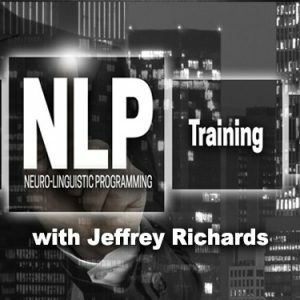 In this presentation, you will learn how to effectively cold call to set-up appointments and create an appointment when you don’t have one, about needs based selling, being the expert in your field, rapport building, setting up the client for a “Yes” when it comes time to close the deal. As a bonus, Michael will cover his no fail re-booking strategy that will allow you to re-book almost 100% of your shows, year after year. This is a perfect way to be able to project next year’s earnings before next year!!! Michael is offering you a three-day PRIVATE SELLING INTERNSHIP. This internship will take place in your territory. That’s right, I will come to you and we will set appointments, make sales calls, and close sales. You can earn your investment in this internship back in as little as three to four shows. Plus, we will spend time evaluating your show for the school market.